For a new ministry to flourish, both clergy and lay leaders need to understand the congregation’s feelings about the predecessor. Every congregation has some history with (or without) clergy. At time of clergy transition, that history influences the selection process and the partnership as it develops. 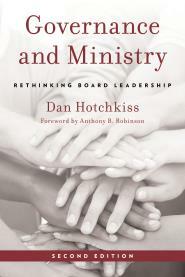 Today’s article is adapted from the Governance and Ministry: Rethinking Board Leadership, 2d ed., by Dan Hotchkiss. After today, PERSPECTIVES takes a summer break, resuming publication in September. Experience with a former clergy leader may have been so good (or so traumatic) that its influence extends for generations. Sometimes the true “predecessor” is a series of short-tenured clergy or a period of lay leadership. Especially if the predecessor’s ministry was long, people probably accepted certain compromises, leaving them with a pent-up desire for change. For example, someone usually wants changes to the worship service that a given clergy leader is unable or unwilling to make. Or the congregation lives with a clergy leader’s failings, on account of strengths in other areas. When that leader leaves, the compromises go away as well. What was settled is now open for discussion; postponed wishes become urgent needs. As a result, in filling out the profile for the next clergy leader, too many congregations pay too much attention to the things it found most troublesome about the predecessor, rather than the things it found most helpful. In this respect, a congregation in the search process is like a healthy person with an itch: it is unconscious of the health, but very conscious of the itch. When the clergy transition is used to scratch the itch, the result can be a flip-flop: the top priority is to find someone strong where the predecessor is perceived to have been weak. The areas where the predecessor was considered strong are simply taken for granted. The trouble with this pattern is that congregations are more likely to rely on clergy strengths than weaknesses. Giving too little weight to the strengths the congregation is accustomed to sets up some of the challenges the partnership will face. For example, if the predecessor was perceived as a strong intellectual preacher with a chilly personality, the congregation may well yearn for a warmer pastor. If the search produces a compassionate but inarticulate successor, the congregation will be pleased—for a while. At some point, members will become impatient with “stickles and goo” from the pulpit, however happy they may be may be with all the visits. The subject matter of the third-year crisis often can be predicted from the congregation’s areas of dissatisfaction with the predecessor. In a variation on this theme, some congregations so revere their clergy that the top priority is to find a clone (younger, but just as mature). In this case, it is the weaknesses, rather than the strengths, of the past clergyperson that are overlooked in the search. Especially after a long tenure, it is a mistake to underestimate people’s impatience with the former pastor’s perceived weaknesses, even if it is taboo to mention that he had any. People will forgive the sainted Dr. Smith’s familiar sexist language, for example, but let the new young pastor say the same words and he (or she!) may learn the power of pent-up frustration. The lessons in these observations start with the search process and continue well into the partnership. For the search committee (or the bishop) one lesson is to see the difference between what a congregation wishes for and what it needs. A great deal of what members say about the future stems from feelings about the past. If the search committee can work through those feelings to achieve a vantage point where it can glimpse the future, it can make a wiser choice. It is important to sort through committee members’ feelings about the past clergy leader till the whole committee reaches a more balanced view, and can see the predecessor’s strong and weak points with a cool eye. You probably were chosen partly because your areas of strength appeared to match your predecessor’s weaknesses. It follows that you may be weakest and least interested in the areas of ministry where your predecessor was considered strongest. Therefore the congregation’s real needs probably are greatest in some areas you’d rather minimize. To succeed, you’ll need to work hardest in the some of the areas you like least. Especially in the first few years, you’re likely to receive high praise for doing what will do you the most harm in the long run—namely, being different from your predecessor. On the other hand, if you are lucky (or unlucky) enough to follow the sainted Dr. Jones, the clergy leader of whom no one can speak ill, you need to do all you can to inherit Dr. Jones’s laurels, while preparing for the day someone discovers you are not a clone, nor even Dr. Jones’s firstborn. Strong and consistent backing from the lips of Jones himself helps, as does real ability at doing what Dr. Jones did best. Most of all, it is essential no one hear a word of criticism from you about Jones. This is a good rule in any case, but especially where he or she is frequently confused with God! The past exercises a strong influence on congregations—and clergy leaders’ past experiences affect our choices, too. A pastor whose last ministry was painful looks for a community whose points of softness touch the places that are still tender. Clergy, too, take for granted what was best about past ministries, even though we’ve learned to depend on just those strengths. 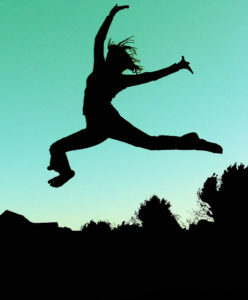 The point is not to achieve perfection but to remember, as the partnership begins, to look back at our own past conflicts, triumphs, and disappointments; to pay attention to our feelings and reactions as we enter; and to renegotiate from time to time. Years after the partnership begins, it can be useful to look back at the dynamics of the search process—not to criticize the searchers, but to draw fresh insights about how past wishes contribute to the normal turning points in a lay-clergy partnership.